A slice of frozen pizza can have between 370 and 730 mg of sodium. Let’s face it. American’s love salt. Nothing is wrong with consuming sodium since it’s essential for muscle strength, nerve function, and fluid balance. However, too much of a good thing can be bad for you. According to the Dietary Guideline for Americans, the majority of adults in the United States consume more than 3,300 milligrams (mg) of sodium each day. To put things into perspective, the guideline recommends Americans aged 2 and up to take less than 2,300mg – which is equivalent to a teaspoon—of sodium each day. Individuals 51 and older, African Americans of any age, or individuals who have diabetes, high blood pressure or chronic disease – about half of Americans—should reduce their sodium intake to 1,500 mg per day. This is less than half the amount Americans consume on average. Sodium adds up quickly when one isn’t paying attention. Eating too much sodium puts an individual at risk for serious medical conditions like high blood pressure, heart disease, and even stroke. Many Americans are not aware of many foods that already contain high amounts of sodium. So before you reach for the salt shaker, here are five foods with hidden sodium. Processed foods are a popular choice when looking for something quick and easy. Beware! 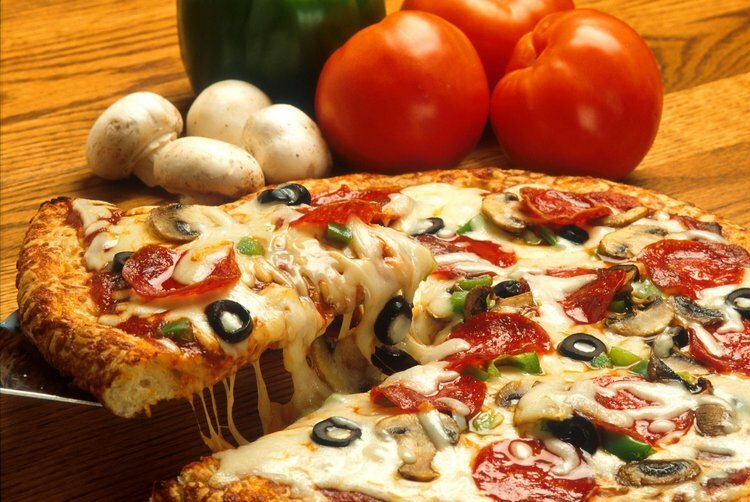 A slice of frozen pizza can have between 370 and 730 mg of sodium. When purchasing processed foods, read the nutrition facts. Foods that contain 35mg or less per serving are categorized as very low sodium. Foods that contain 140mg or less are defined as low sodium. Don’t feel like staying in to eat prepackaged meals? Many eat out as an alternative. Be careful where you eat. More than 75% of the sodium consumed is through either processed foods or restaurant meals. One slice of bread can contain between 80 and 230mg of sodium. If you’re trying to make a peanut butter sandwich, you are consuming between 160 to 460mg of sodium from the bread alone. Some breakfast cereals contain 150 to 300mg of sodium before milk is even added. Canned goods are often loaded with preservatives and extra sodium. A serving of black beans can have up to 400mg of sodium. Always choose the “no salt added” option. After opening, rinse the product thoroughly to ward off any extra sodium. Whether it’s canned or from the restaurant, soups are loaded with sodium. A cup of canned chicken noodle soup can have as much as 744mg of sodium. Look for the reduced-sodium versions and read the nutrition facts. Research shows that a low in sodium and high in potassium diet can help reduce blood pressure and the risk of other serious medical conditions. The more fresh fruits and vegetables and low-fat dairy you consume, the closer you are eating a well-balanced diet.